Humans have had to adapt to walking on different surfaces, the hard, flat concrete surfaces found in our society today is a massive contributor to foot pain and the effects it has on other body structures giving rise to low back pain, knee pain, hip pain. Why do our feet need specialist care? Our feet are very complex – they house a quarter of the bones in the body, as well as a network of muscles, ligaments and joints and are vulnerable to injury and disease. 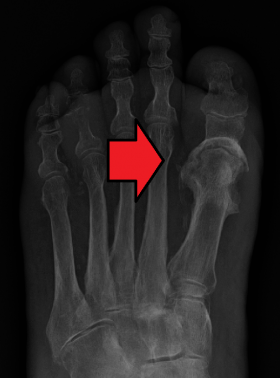 Common foot Problems and associated pain can be divided into 5 major categories: Inherited Factors, Infection, Trauma, General/Systemic disease and Biomechanical. The Foot pain centre of Leeds can help with the following foot conditions. The term fungal nails, medically known as onychomycosis, refers to a fungal infection of the toenails. This may cause changes in the nail itself and its appearance, including symptoms and signs such as discoloration, flaking and thickening of the nail. Bursitis is named after your bursa, which are fluid-filled cushions that protect your body’s joints. These cushions help you absorb shock, keep your joints moving smoothly, and prevent irritation from where your tendons and ligaments pass over your bones. However, when your bursa become inflamed and your ability to absorb shock decreases, the area around your joints also becomes irritated and inflamed. Ingrowing toenails are commonly caused by incorrect nail cutting, tight footwear or a direct injury. Ingrowing toenail surgery is a common condition. 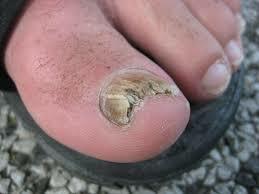 An ingrown toenail develops when the side(s) of the toenail pierces and grows into the surrounding skin. The adjacent skin becomes red, swollen and tender. If allowed to continue over a period of weeks and months, the area often becomes infected with the formation of hypergranulation tissue. Some patients go to their GP, however there is currently a long waiting list. 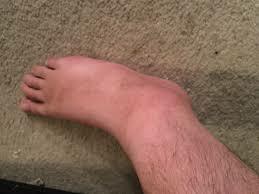 We can carry out this procedure within one week of seeing a Podiatrist. This is an infection in a bone and can reach a bone by travelling through the bloodstream or spreading from nearby tissue. Infections can also begin in the bone itself if an injury exposes the bone to germs. Verrucae are warty growths which occur on the soles or toes of your feet. They are caused by the Human papilloma virus and can be contracted in any communal areas such as swimming baths and changing rooms. They are highly contageous, and should you be unlucky to catch the virus, precautions should be taken not to walk around barefoot anywhere.